This is for 3D printing. So need to exaggerate what details we can so they come through. The goal is to make the USA and German look slightly different. Included are source files we are trying to recreate as well as samples from another board game. 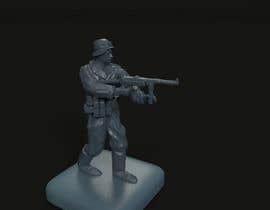 (US and German) We don't need you to copy the plastic figure examples those are just to give you an idea. Hi! 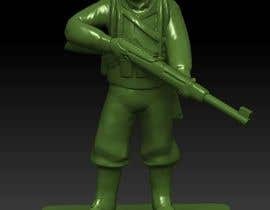 Are there any pictures of my soldier prints? Hello everyone, sorry we have not responded yet, we have been re-organizing all of our miniature needs. 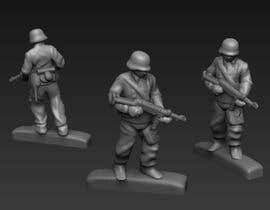 I will get back to these infantry miniatures tomorrow. As of the last printing I believe the team like Vadym's usa solder and Tonis' german. 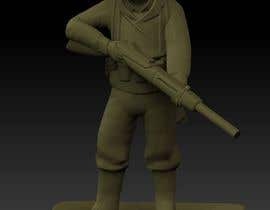 We're also going to purchase Lesia's for a sniper sculpt. There are a few required edits according to this week's size changes. 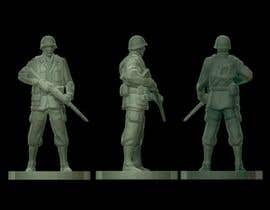 This contest was just an intro, we have more units to create for US, Soviet, German and British. Hey, are you here? The contest is closed. Are you going to award? In that image you can see the unit trays we will be placing them in. Prints are turning out a little better. Will be putting yours in next Tonis. 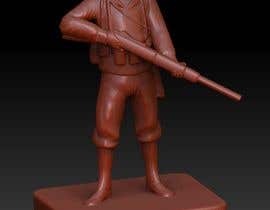 BTW the riflemen with downward slanted guns sort of looks like a flamethrower at this level of detail. May need them pointing out more. 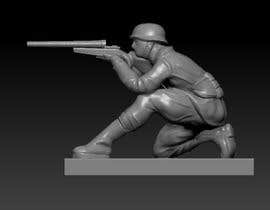 More in a firing position. All in all just need bigger straps, bigger feet, thicker guns. "May need them pointing out more. 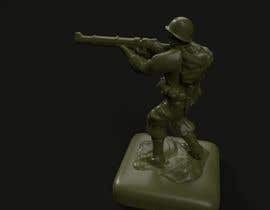 More in a firing position. " Are you talking about my model? Got some more prints done this time using Engel's. Going to do another print of everything if anyone else is willing to provide the stl before the contest closes. Going to do a run with .025 layers and much longer curing times. Will take 5 hours, so if you provide them in the next few hours I will add it to the tray. You can see the first tests here. 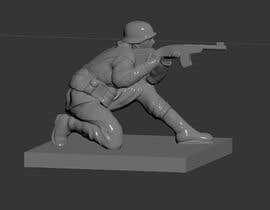 Now some of the issue is just us and our resin printer, we need to crank up the settings a little more on it and increase the UV cure time. But you can see how the back and belt details came out good. https://photos.app.goo.gl/QMzE4PxXxpF2BkyR7 so anything with 1-2 mm of texture comes out fairly well. BTW good enough entries to make this guaranteed but we are going to hold off making it guaranteed for now because we may end up needing to split the award between two people. A couple hours to print since we are doing small detail. So far, these are looking good. Of course at such a tiny size we are losing most of the details. So we will need to exaggerate some of the features. Particularly, suspenders belts, helmets, boots etc... I will post some photos soon. 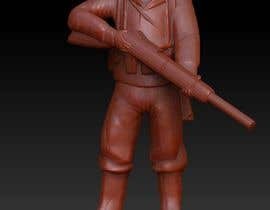 How long it takes to print one model? Anything to modify for #8 #10 ? These soldiers are looking good thank you! 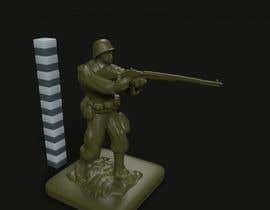 Bases should be 12 x 12 square 2.5 mm high. 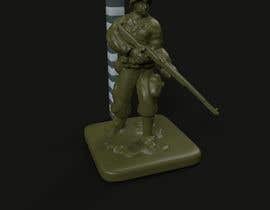 What kind of 3d printer and material do you plan to print the soldiers with? Currently studying at uni with deadlines looming, but would love to give this a try, contact me?